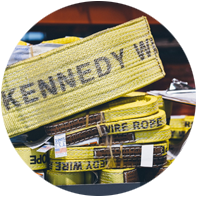 Lifting and Rigging Supplies | Wire Rope Supplier | Kennedy Wire Rope & Sling Company, Inc. Whether the best fit for your next job involves chain slings, wire rope slings or synthetic slings, our experienced fabricators will create an exceptional solution with properties that exceed the maximum load expected for your project. At KWRS, we fabricate our Synthetic Slings with high quality materials in order to provide you with an exceptional product. 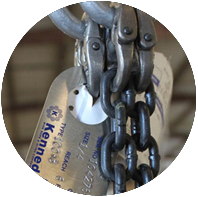 Kennedy Wire Rope & Sling Co., Inc. fabricates a variety of Chain Slings that can be used in nearly any rigging application. 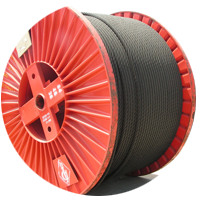 Rely on our specialists to assist you in the selection of wire rope with the specifications that meet the requirements of your particular lifting application. 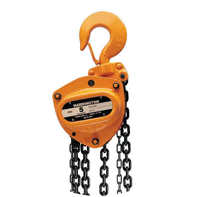 If chain, cordage, rigging hardware, ratchet tie down straps or other lifting hardware and accessories is what you require, the technical experts at KWRS are backed by an array of the most reputable suppliers in the business. Functionality that goes above and beyond, paired with high quality components, is one way we ensure an effective and safe fall protection system. 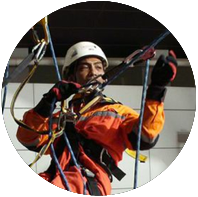 Our line of products can help insure a maximum level of safety when working in all fall and rescue related scenarios. We stock large volumes of various products in our Corpus Christi, San Antonio, and Houston facilities. Qualified KWRS personnel can inspect, deliver, install or repair rigging or lifting equipment and is available around the clock. 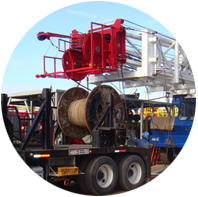 For over 35 years, Kennedy Wire Rope & Sling Company has supplied construction and industrial sites throughout Texas with top quality, reliable lifting and rigging solutions. 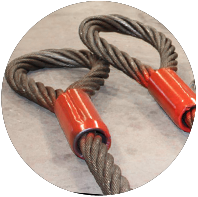 We tailor our clients’ equipment to meet the demands of each job, fabricating every wire rope, synthetic, and chain slings to exacting industry standards. Additionally, we offer equipment inspection and repair-including a variety of onsite services worldwide-as well as rigid proof testing to ensure the fitness of lifting or rigging systems with respect to the job to which they are commissioned. 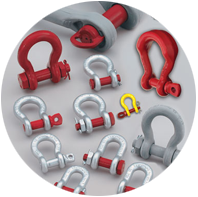 From a turnbuckle to complex, custom designed rigging, KWRS is a full service lifting and rigging partner you can trust to deliver quality rigging supplies that are durable and safe-at a competitive price.